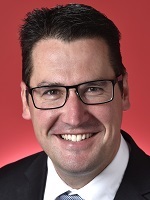 ACT Senator Zed Seselja has been appointed the Federal Government's new minister responsible for charities and not-for-profits, the sector's sixth since 2013. The appointment has been welcomed by the ACNC and sector peak body, the Community Council for Australia. The move was triggered by August's Liberal party leadership crisis, which saw Prime Minister Malcolm Turnbull dumped and the sector's previous minister, Michael Sukkar, resign. Mr Seselja also resigned in the lead-up to Mr Turnbull's downfall, but quickly resumed a ministerial role after Scott Morrison took on the top job. New Treasurer Josh Frydenberg said Mr Seselja would become Assistant to the Minister for Treasury and Finance. As well as responsibility for the not-for-profit and mutuals sector, he will oversee the Australian Charities and Not-for-profits Commission (ACNC). Mr Seselja was most recently the Assistant Minister for Science, Jobs and Innovation and Assistant Minister for Social Services and Multicultural Affairs. He has some experience with the sector, having launched the Giving Australia 2016 review of giving and volunteering, where he emphasised the importance of a strong social sector. "Giving and volunteering is an important part of Australia's social and cultural fabric," he said at the time. Community Council for Australia chief David Crosbie said the organisation would "look forward to working with the new minister to strengthen [the] role of charities and the broader civil society as we head towards the next federal election". Zed Seseljia is the new federal minister responsible for charities and not-for-profits. But Labor MP Andrew Leigh, Shadow Minister for Charities and Not-For-Profits, said the change represented another instance where Australian charities and not-for-profits had been harmed by the Government's disunity. "Australian charities are once again collateral damage of the crisis and division within the Coalition. "It's hard to see how a minister can properly serve the sector when they're only in the job for an average of 10 months." More on Our Community news.